A pretty hilarious prank cup if you ask me. A great white shark is waiting to pray on his next unsuspecting victim. Great little gag to pull on someone that is over at your house. Even for yourself, maybe you forget what cup you are using while you are trying to wake up for your long day at work and BOOM! 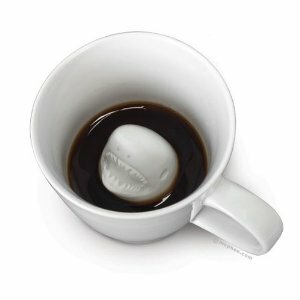 a shark is in your face helping you start your day off right! Makes for great gifts as well.